ITS provides video conferencing services for faculty and staff. We can assist you with connecting to multiple remote sites for video conferencing or provide conferencing through use of a Zoom Pro account. 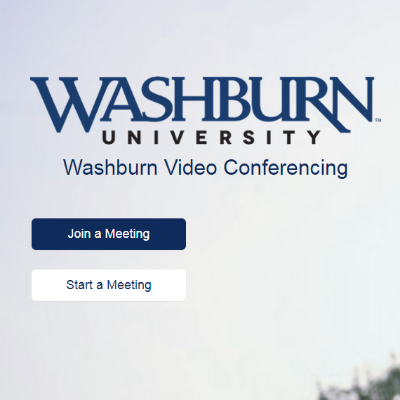 Washburn University has licensed a web/video conferencing service that enables users to have high quality video and audio conferences or meetings from laptops, desktops and other mobile devices. It includes features like screen sharing and recording capabilities. Attendees (including students) are not required to have a license to join a WU hosted meeting, but they may acquire a free personal account from ZOOM.US if they so desire. Authorized WU hosts can invite others into an interactive video or audio conference via an email. Those attending do not need to login. Zoom provides video, audio and screen-sharing across Windows, Mac, iOS, Android, H.323/SIP room systems, and ZoomPresence. The system is also very intuitive and easy to use. For more information on video conferencing, the use of Zoom or for faculty and staff requests for a Zoom Pro account, please contact Brenda White, at 785.670.1506 or brenda.white@washburn.edu .